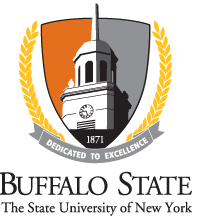 Buffalo State has partnered with EverFi a company whose mission is to help students address critical life skills such as alcohol abuse prevention, sexual assault prevention, and financial literacy in higher education institutions across the country. Each year over 700,000 students complete EverFi courses like the ones you will take as a student at Buffalo State. As part of our comprehensive prevention program for new students, SUNY Buffalo State expects you to complete AlcoholEdu and Sexual Assault Prevention. These online courses will empower you to make well-informed decisions about issues that affect your college years and beyond. AlcoholEdu and Sexual Assault Prevention include surveys that offer you feedback on your alcohol-related attitudes and behaviors. All survey responses are strictly confidential; Buffalo State will only receive information about the student body as a whole and will never see any individual students’ answers. Learn more about AlcoholEdu and Sexual Assault Prevention at the Frequently Asked Questions page, or by contacting Buffalo State’s AlcoholEdu Team at alcoholedu@buffalostate.edu. Access the AlcoholEdu and Sexual Assault Prevention courses beginning February 22, 2019. Complete Part 1 (1-2 hours for AlcoholEdu; less than 1 hour for HavenEdu ) by March 24, 2019. Approximately 45 days after finishing each course, you will receive an automated email (sent to your Buffalo State email address) asking you to complete Part 2. Complete Part 2 (about 15 minutes) by May 3, 2019. Completion of Part 2 for both AlcoholEdu and Sexual Assault Prevention is required to complete the program. Use your Buffalo State username and password. You may take the courses in multiple sittings. Sections end with a “Next” button. Do not log out until you click the “Next” button or you will have to repeat the section. At the end of the video scroll down to the "Next" button to continue. When returning, log in at the same URL for AlcoholEdu and for HavenEdu. Bookmark these sites or locate them via MYBUFFSTATE for Students, at the top of the Services section. Should you experience technical difficulties, click the “Help” button, located in the upper right-hand corner of every AlcoholEdu or HavenEdu screen, to access the 24/7 help center. You do not need to be logged into the course to access the Technical Support Center. Call 1-866-384-9062 if you prefer to talk to technical assistant. A laptop, Netbook, iPad, tablet, or desktop computer with Internet access and audio capabilities. If you do not have access to a computer, you can use any publicly available computer with Internet access. The course does not run on mobile devices.